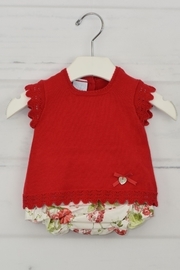 An adorable and colorful outfit for baby girls. 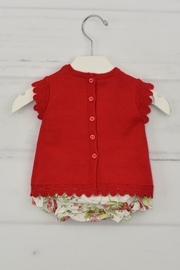 The top is knitted in red and has buttons on the back for closure. 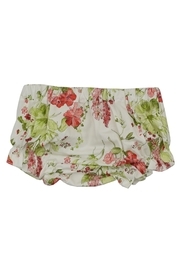 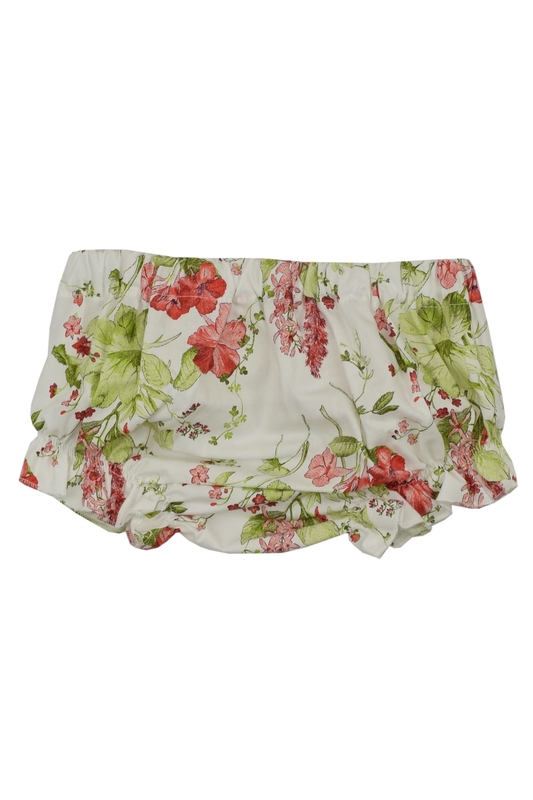 The bloomers are made in a cotton fabric with a flower prints.